The Hotel Monte Vista in Flagstaff, Arizona has been named as one of the most haunted hotels in America. This restored and fully functional hotel in Arizona is situated along the ever-popular “Route 66”. Originally opening in the year of 1927 on January 1st, many notable and popular names have visited the structure. John Wayne, Harry Truman, and numerous other individuals have stayed at this popular Flagstaff hotel. Apparently, though, there are a number of other names that frequent this structure…however, these are not human, but spiritual. Here, you will learn a number of interesting facts that makes this one of the most haunted hotels in Arizona. 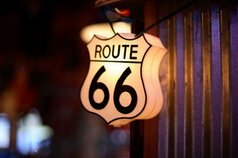 The Hotel Monte Vista gives new meaning to “get your kicks on Route 66” – that’s for sure! One of the first paranormal experiences that were documented regarding this haunted hotel was made by the famous Western Legend, John Wayne. 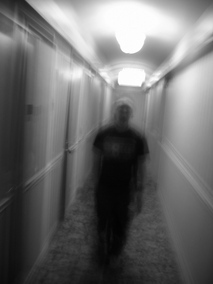 It is said that he apparently encountered a spirit that was considered to be friendly on his stay. This took place in the decade of the 50’s. A couple of decades later, it is said that bank robbers entered the lounge in order to celebrate their heist of a local area bank. One of these individuals had been shot, not realizing just how serious it was, by the time that they spent some time drinking, the gentleman died. To date, many have claimed that they have had ghostly encounters with this spirit. In many instances, some have reported hearing greetings, and some have seen full body apparitions. Many guests that reside at this particular hotel – in the room of 210 – have been startled in the middle of the night when room services announce that their order is ready. When the guests get up to meet with room service, absolutely no one is there. There is a long hall that leads to this particular room and guests say that there is no way someone could escape so quickly – even if it was a prank. In addition to this, there is a female spirit that is also noted in roaming the second floor of The Hotel Monte Vista. Apparently, human guests are not the only ones to experience the paranormal. Many pets, particularly dogs, have been noted in displaying unusual behavior – as if they are frightened. A room on the third floor remains the interest of staff of this haunted hotel, as well as ghost hunters from around the world. The room number is “305”. In this room stands a rocking chair. On a regular basis, this chair has been moved and it is always moved back to the same location, just in front of the window. It is reported that this particular room housed an elderly woman who would spend a large amount of time in front of the window, looking out. It is not clear whether this was simply a pastime or if the female was waiting on someone. However, guests even today report seeing an image of a female or a full body apparition – as if the elderly female is real – only to find that she quickly disappears. If you interested in visiting one of the most haunted hotels in America, The Hotel Monte Vista is a great opportunity. You can stay here, or simply take a tour of the facilities. Get directions, view photos and read the visitor reviews and traveler tips for the Hotel Monte Vista.